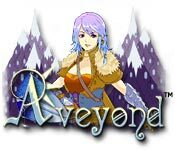 Our Aveyond Walkthrough helps you though this medieval world of monsters and mystery. The Demon Portal has been opened and dark creatures are racing into your world, so it’s up to you to find the Sword of Shadows and close the Portal once more. Our walkthrough will give you the tips and tricks needed to defeat the evil Ahriman in no time. Read the Quick Start guide for a basic start. Check out the other links for spoilers, cheats, and deeper walkthroughs. Leave your own wisdom in the forum below. 2. If you want to play the game in full-screen mode, press ALT+ENTER on your keyboard. 3. From the Title screen, select New Game. 4. After the introduction is over, you start the game in a village called Clearwater. Go to your house. Your house is to the left of the first bridge. 5. In your house, go upstairs and talk to your dad (go up to him and press SPACEBAR on your keyboard). He asks you to bring back the village healer. 6. Leave your house and go east (across the first bridge). Then go north (up the stairs). Then go west (across the second bridge). Travel west until you reach the cliff, then go north until you see a cottage. This is the healer's house. Go into the house and talk to the healer. She joins your party. 7. Go back to your dad. When you go upstairs, the healer will leave your party and talk to your dad. Your dad will ask you to talk to your mother. 8. Go talk to your mother. She asks you to bring her five marionbells. 9. Leave your house and go south to the meadow. You will see some kids picking flowers. Pick four marionbells here. 10. Go back towards the village and go into the cave. In the cave, go north. The cave will take you to another meadow where the last marionbell is. Pick the fifth marionbell here. 11. Go back home and give your mother the marionbells. She asks you to go to bed. 12. Go upstairs and to bed on the left. Walk into the your bed. This makes you sleep. 13. Go downstairs and talk to the priestess who is standing by the fireplace. Keep talking to her until she gives you a priestess ring. 14.Leave your house and go south to the cave. Talk to the boy at the cave entrance and then follow him into the cave. 15. Talk to the strange man in the cave. He captures you and takes you to a village in the east called Ghalarah. He sells you as a slave. 16. When you wake up in your room, read the note on your desk. This list contains the chores you have to do for the day. 17. Leave your house and go south into the village. Find the seamstress shop and talk to the seamstress. She will give you Lar's traveling clothes. 18. Take the traveling clothes back to your house and give them to Mistress Rona. - Press ESC on your keyboard. This opens the main menu. - From the main menu, select Save Game. - Select a save slot for your game and press ENTER on your keyboard. 20. After you have saved your game, go up to the attic and fight the spiders. Before you leave the attic, search each spider that you killed for goodies. 21. Go downstairs and talk to Mistress Rona. She asks you to find her son Lars. 22. Leave the house and go south into the meadow. Lars and two friends are there. 23. Talk to Lars then go back to your house and talk to Mistress Rona. 25. In the morning, talk to Mistress Rona. Once again, she asks you to find Lars. 26. Leave the house and go south into the village. Lars is in the village tormenting a young boy. Talk to Lars. 27. You receive a token from an emissary who sees you and Lars. You must go to the city Veldarah. 28. Save your game and leave the village. 29. In the wilderness, avoid the snakes at all cost. Only fight the spiders when you have to. Go to the city Veldarah. The city is Northeast. If you get lost, look for a sign to tell you where you are. 30. In Veldarah, go Northwest to Shadwood Academy. 31. Go into Shadwood Academy and talk to the headmaster, Harald. He will give you a key to your room. 32. Go find your room in the academy and unlock the door. 33. Open the treasure chest in your room. You will get your school uniform. -Select your school uniform from the list and press ENTER. 36. Go into the student courtyard and talk to Lorad. You must fight him to become a journeyman sword singer. Before you fight him, go out into the jungle and fight some spiders and snakes for experience. Also, make sure to save your game before you fight him. 37. After you fight Lorad, leave Shadwood Academy and go south into the city of Veldarah. 38. Near the entrance of the city, go into the junk dealer's shop (look for a shop with a sign that has a key on it). 39. Go up to the ring in his shop and press ENTER. The junk dealer will ask you if you want to buy the ring. 40. Buy the ring and leave the junk dealer's shop. The priestess will appear when you are leaving the shop. She tells you to meet her at the Empress's palace. 41. In Veldarah, go northeast to the palace. In the palace, talk to the Empress. She will give you an important quest: Find seven druids and take them to a place called Aveyond. 42. Leave the palace and go to Shadwood Academy. Find Lars and talk to him. He will join your party. 43. Go to the entrance of Veldarah. You will see the priestess. Talk with her. She joins the party. 44. Leave Veldarah and go west. In the jungle, go northwest until you reach the overworld. If you get lost, look for signs to read. 45. In the overworld, go north and have the boatman take you to the Northern isle. 46. In the Northern Isle, go northeast until you see a cave (not the cave with the minor in it). The cave takes you to Aveyond. 47. In Aveyond, go east. After you pass Teacup town, go north to the temple. 48. Talk to the oracle in the temple. At this point, the main quest for the game begins. You must search the isles for the druids and bring them to the temple in Aveyond. When you have done this, you will receive a relic of great power that can defeat Ahriman, the villain in the game. I suggest that you go back to the Eastern Empire, head south through the Wildwood Forest, and then east to Lands End. In Lands End, there is a temple with the easiest druid to find. Go into the temple basement and fight the demon for the druid's soul. Then, take the druid to Aveyond.